The Wright Museum of WWII, where I docent during the season, is hosting an exhibit of Norman Rockwell’s Saturday Evening Post covers during the war years. As with any good exhibit it has educated me, but also left me with a desire to learn more. Rockwell was born in 1894, and by all accounts, wanted to be an artist from a very young age. His talent was apparent early on, and when he was 14 years old, he enrolled in The New York School of Art. Two years later he received his first commission to create four Christmas cards. Shortly after that he was hired by Boy’s Life, the magazine of the Boy Scouts of America, to be their art director. A prolific artist, Rockwell produced over 4,000 works. In the early part of his career, he used friends, neighbors, and family as his models. They would sit for hours as he created draft after draft. With the advent of the camera, he was able to take myriad photographs from which to work. 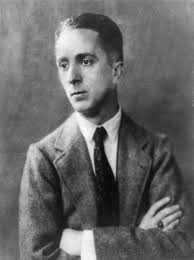 According the Norman Rockwell Museum, the 1930s and 1940s were his most fruitful period. Rockwell served during WWI, but was too old to be drafted during WWII. Instead, he focused his talents on sharing what those who served were experiencing during the conflict. His series on Private Willie Gillis was one of his most popular, and his most well-known pieces The Four Freedoms were inspired by a speech by President Roosevelt. So as not to violate any copyright laws, I have not included any images of his work. However, you can visit Norman Rockwell Museum to view the museum's collection. Interesting. 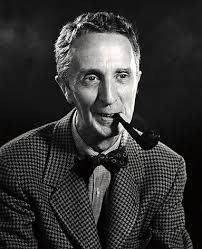 I have always liked learning about Norman Rockwell. Thank you for the info. Do you know what his WWI experience was like? He served as a military artist. There is a story that he was underweight when he tried to enlist. He went home and gorged himself on bananas and tried again. This time he was heavy enough and they let him in. He didn't see any combat.